An historical and architectural study of a Sussex County, Delaware, Farm and the family that has owned and occupied it for seven generations. 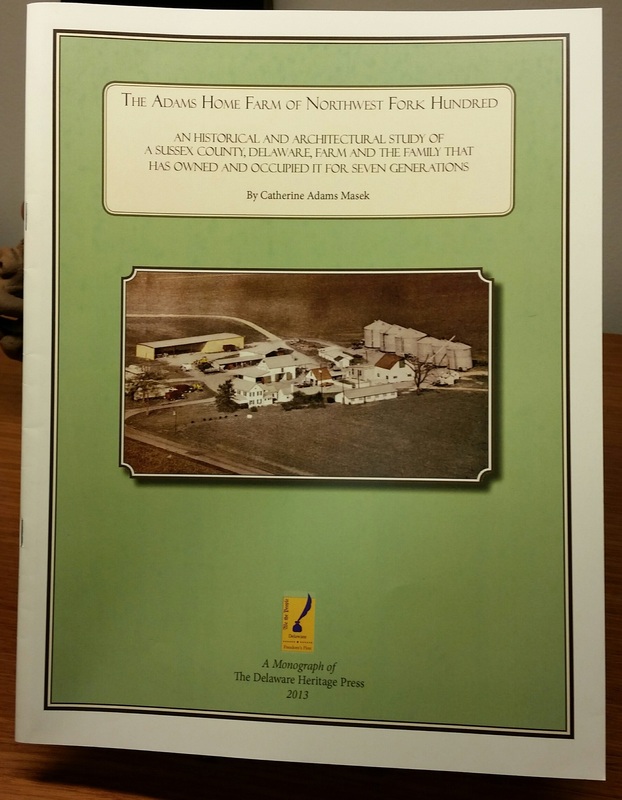 Notify me of updates to The Adams Home Farm of Northwest Fork Hundred, Catherine Adams Masek, 2013, 36 pp. PAPERBACK. Prices reflect the cost of the book PLUS S&H fee of $3.00.